The Arizona Cardinals have placed linebacker Joey Porter on injured reserve, Darren Urban of AZCardinals.com reports. Porter, 34, had 16 tackles and one quarterback sack in six games this season, but has missed the last eight weeks with a knee injury that required a surgical procedure. Signed to a three-year, $17.5 million contract in 2010, Porter had five quarterback sacks in 14 games in his first season with the Cardinals. After the lockout ended, Porter reduced his base salary significantly and will be an unrestricted free agent in the offseason. In 13 NFL seasons with the Pittsburgh Steelers (1999-2006), Miami Dolphins (2007-09) and Cardinals, the four-time Pro Bowler and member of the NFL’s All-Decade Team (2000s) has 98 quarterback sacks and 12 interceptions. 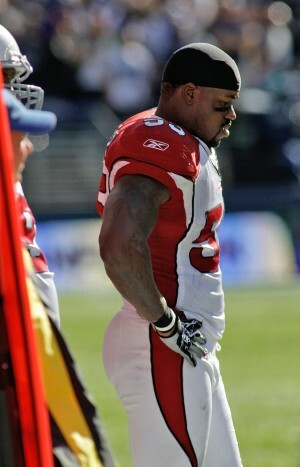 Porter’s replacement: To replace Porter, the Cardinals have promoted linebacker Brandon Williams from the practice. Running back William Powell has been signed to the practice squad to fill Williams’ spot. 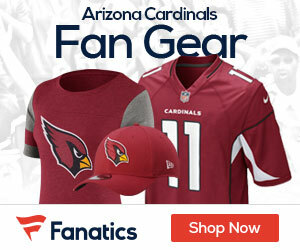 Williams was a 2009 fourth-round pick by the Dallas Cowboys, while Powell is an undrafted free agent out of Kansas State who ran for 86 yards in the preseason with the Cardinals.